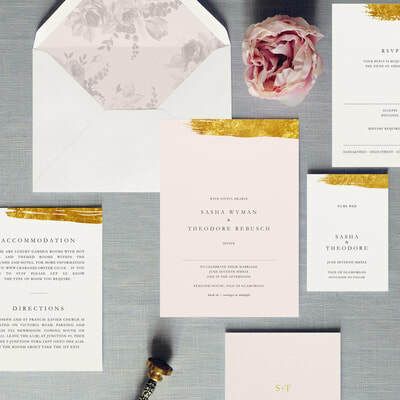 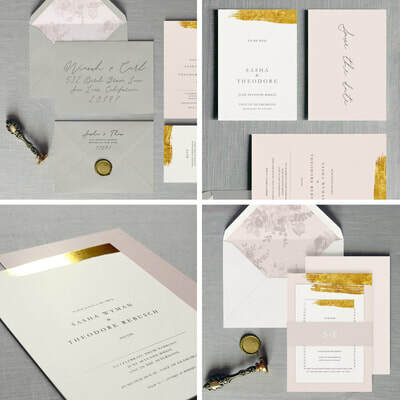 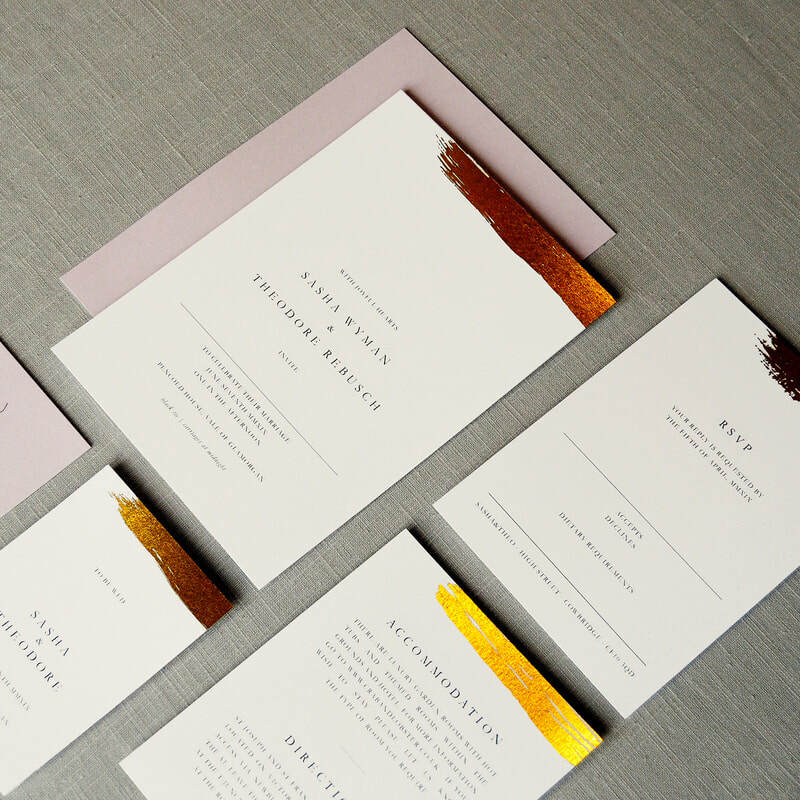 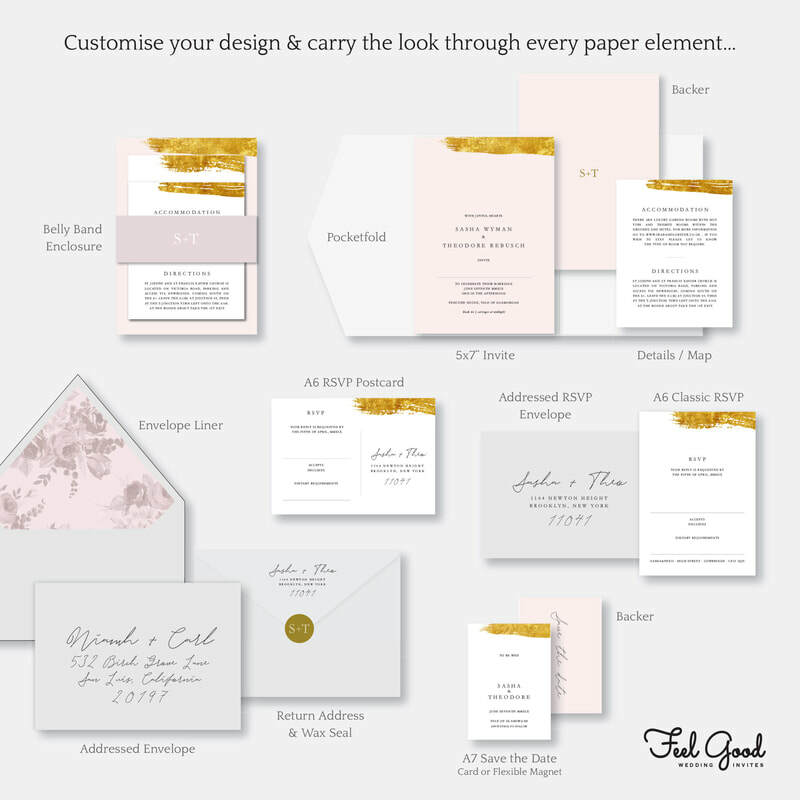 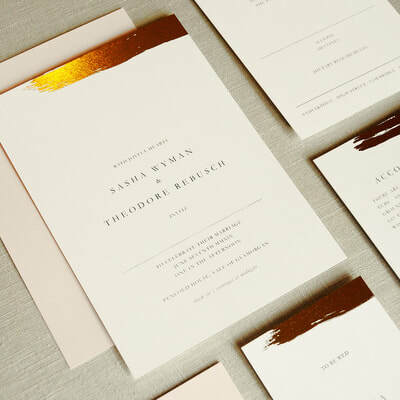 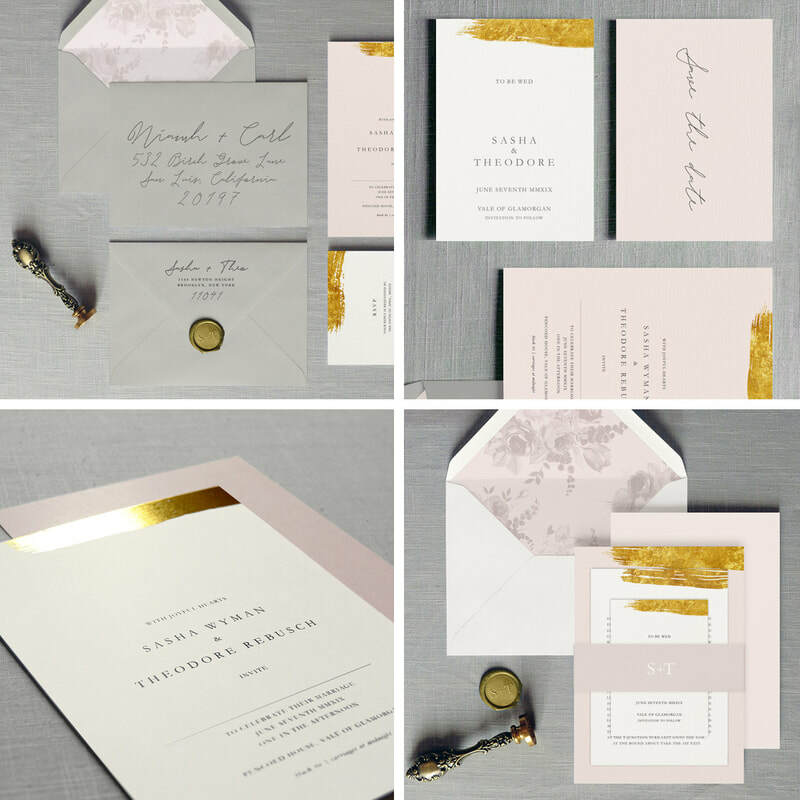 Luxurious foil pressed wedding invitations featuring a gorgeous hot-foiled gold 'brush' effect & subtle blush tones. A classy statement maker. 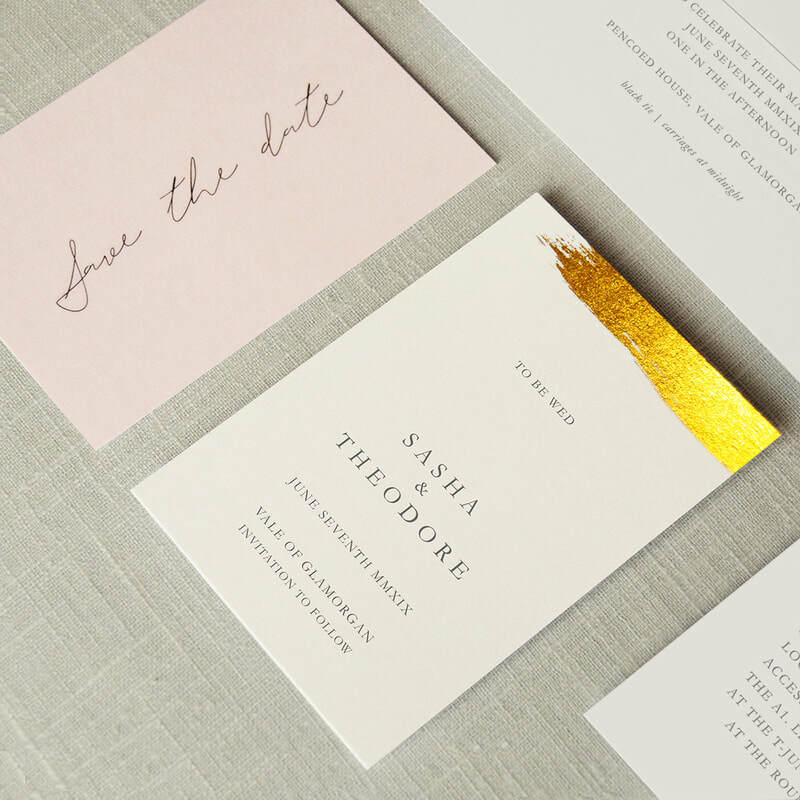 The real metallic foil adds richness and exclusivity.